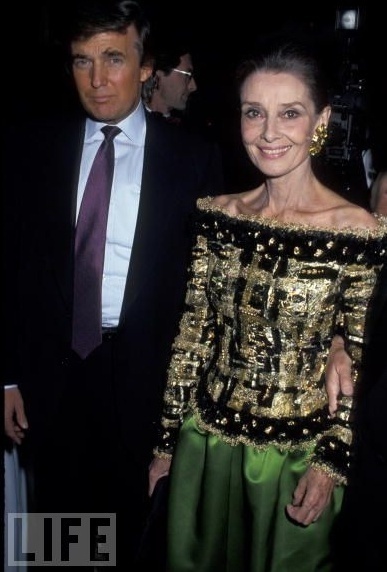 Casita Maria Fiesta 1992 Benefit - With Donald Trump. . Wallpaper and background images in the Audrey Hepburn club tagged: audrey hepburn photos 1992 donald trump casita maria fiesta. This Audrey Hepburn photo might contain business suit, dress suit, full dress, tailcoat, tail coat, tails, white tie, and white tie and tails.